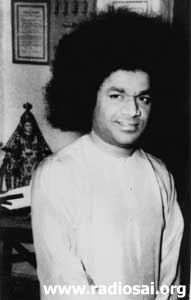 This is the seventh instalment of the wonderful recollections of Mr. Chidambaram Krishnan, a long-time devotee of Bhagavan Baba who came to the Lord under somewhat unusual circumstances. In the last Instalment , we took you up to the point where Mr. Krishnan dramatically becomes united with his estranged son. In this the seventh instalment, we now have Mr. Krishnan telling us about an incident in the earlier part of his life when he was about to be murdered while visiting Ceylon [now Sri Lanka ], and how Swami transforms the assassins at the very last moment. Read on. 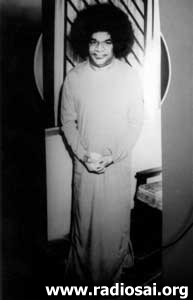 Swami once told me, “I will provide you the ultimate protection no matter what; and I will also give you detailed instructions about what to do and when.” In the beginning, I did not appreciate Swami’s Divinity and used to critically analyse every one of His statements and remarks, instead of accepting them with full faith. Eventually, it dawned on me that I had no right whatsoever to indulge in any such analysis. Instead, I had to surrender totally, in the full sense of the word, leaving everything to Swami, Karma or no Karma. He knows everything and He would always do what was best for me – slowly, this realisation sank into me. I realised that I had no choice but to accept whatever Swami decided for me, having the faith that He would always do what was good for me. Thus it is that I have given up completely all that useless analysis. If He says stand, I stand; if He says sit, I sit; my job is to simply obey His command. I have now learnt to see Sai in all because that is the only truth. No doubt Swami tells us again and again that He is in all but we quickly forget that because we are so used to focussing on external diversity. So we have to constantly drill ourselves to see the Inner Divinity rather than the external form. Here I am reminded of a story. It seems that a certain gentleman who was once travelling with Swami in a car asked, “Swami, you say one should not hunt and kill animals. Suppose a cobra comes to bite. Can one kill it?” Swami replied, “If you think it is coming to bite you, you could kill it, but if you believe that Swami resides in that cobra also, you should not kill it.” “But, Swami,” said the other person, “the cobra would bite!” “No,” replied Swami, “If you really believe that Swami is present also in that cobra, it will not bite.” I can say with authority, that this is really true. I have had many such experiences when danger that was imminent miraculously passed away because of this belief. That belief brings Swami’s protection. It is all a drama. Swami is the one who is coming to stab and Swami is also the one who is getting stabbed. Swami is both. We see these two individuals as distinct because of ignorance. 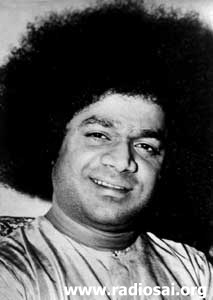 But once we realise the Truth, the drama is over and Karma vanishes!” So the safest way to wipe out all past Karma and to avoid accumulating fresh Karma is to see Swami in all. This comes through total surrender, and that is the best option. I shall now narrate an incident that happened in 1961 that highlights how Swami protects once He gives the word. At that time, our company had a lot of business in Ceylon, now Sri Lanka. Our product had a trademark, and the rule in Ceylon was that the trademark must be renewed before the expiry date. In India, the rule is not so strict and there is a grace period, but in Ceylon they were very strict; renew before the expiry date or else lose claim to the trademark. If the ownership of the trademark was allowed to lapse, then someone else could use it; that was the law in Ceylon . As I told you, our company trademark had to be renewed, and my brother had to go to Ceylon for that. We had a rule: never do anything without taking Swami’s permission first. So my eldest brother went to Puttaparthi to get Swami’s blessings for going to Ceylon for this purpose. The company was registered in his name, and legally he was the owner; so it was he who had to go and sign the papers needed for trademark renewal. My brother thus came to Puttaparthi, and sought Swami’s blessings, which He lovingly gave. Swami then asked my brother to do a few small things while in Ceylon. Swami also gave some Prasaadam and permitted my brother to attend the wedding of the High Commissioner’s daughter, while in Ceylon. I came back to my hometown and narrated everything that happened in Puttaparthi to my brother. He was relieved and said, “Thank God I did not go. If I had, that mad driver Ali would have killed me.” I then told my brother that Swami had given the assurance that He would take care of the matter of the renewal of our Company Trademark. My brother did not seem too sure how Swami was going to do that but he did not raise any further queries. He then asked, “What about the marriage of the daughter of the High Commissioner?” I said, “Swami has asked me to go.” My brother now became alarmed and said, “But you cannot go! That mad driver would try to kill you! 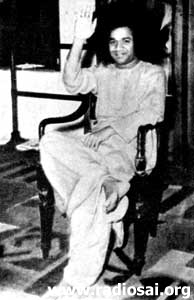 !” I assured my brother, “Have no fear; Swami has told me that nothing would happen to me and that He would protect me.” My brother was not convinced and tried to dissuade me from going but I was firm – Swami had asked me to go and had assured me of protection; nothing would stop me and I was going! As I mentioned earlier, it was actually this local manager who had got rid of the driver. However, to escape blame, he told the driver that the dismissal order actually came from the owners of the Company, that is, my brother. The manager feared that if my brother or I came to Ceylon, the truth would come out and that he would be in deep trouble. I was now in Colombo and trouble could erupt any moment. I was so tired that soon after I was dropped off in our Colombo flat, I fell asleep. Early in the morning, I heard someone knocking on the door. Half asleep, I dragged myself to the door and opened it. And there, standing before me was Ali, hopping mad, along with three others. They pushed themselves in and shut the door after them. Ali then spoke, “So tough guy, what do you think of yourself? Your big brother is hiding back in India and you thought you could come here and get away with it? You feel secure because of that Sai Baba?” I must here mention that Ali had earlier come to India and had in fact driven me from my hometown to Puttaparthi to see Baba. Indeed, he too had seen Baba. I then said to Ali, “You can go ahead but first give me two minutes to myself.” Ali sneered and replied, “Oh, you want to pray to your Sai Baba, do you? Go ahead and pray for the last time.” I closed my eyes and silently cried, “Swami, must it really end like this?” My eyes were drenched with tears. I felt some drops falling on me feet. I opened my eyes to see those tear drops falling on my feet. Instead, what was it I saw? It was an incredible sight. Lying at my feet was Ali, and tears were flowing from his eyes on to my feet! It was simply unbelievable. It was incredible. I rubbed my eyes and saw that Ali was actually there, sobbing at my feet!! It all happened in a flash, as if in a dream. Yet it was not a dream but reality, Sai Reality! Swami had kept His word and saved me in the very last minute, after testing me for quite a while. Earlier, Swami transformed my eldest brother in one second and made my marriage possible. Now once more, in just one second, Swami had transformed a man who had come to murder me. My head was spinning. Earlier, this very same Ali was refusing my offer to reinstate him, my offer of higher pay, bonus etc., and now here was the same man, just two minutes later, asking me to beat him and to punish him! Slowly I bent down and lifted Ali up. I said, “Ali, you really did not mean any harm to me. I know that; what happened was the result of circumstances. Let us forget this nightmare.” Meanwhile Ali continued to sob uncontrollably. The other members of the gang were just stunned to see all this and were wondering what was going on. Suddenly, they too became respectful to me! Mr. Krishnan’s life seems to be full amazing experiences, does it not? Want to know more? Look out for the next instalment of H2H! Share these stories with those you know so that they too become aware of how Swami is everywhere, helping devotees in innumerable and unimaginable ways.